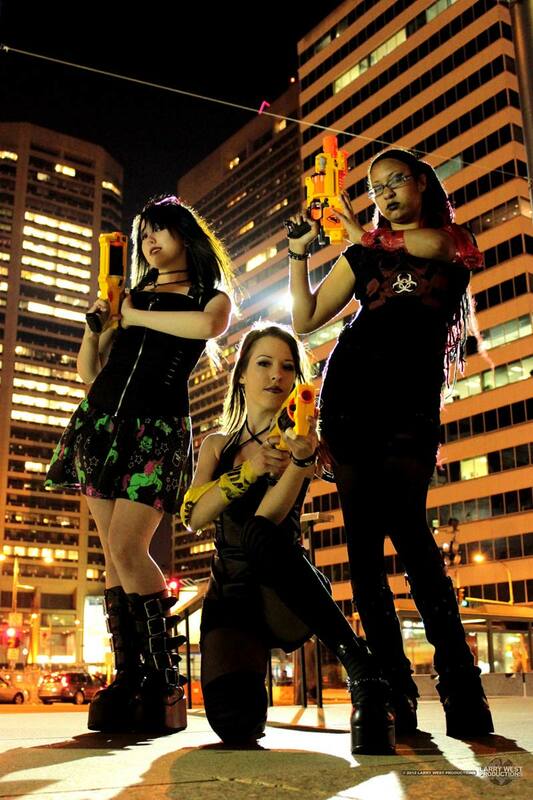 I had an idea for a photoshoot: The glory of beautiful women, Nerf Guns, and neon lights. I love pushing the limits of what I can do as an artist, and this shoot was a trial by fire of learning all sorts of things. More than anything, I just wanted to go out and have as much fun as possible. 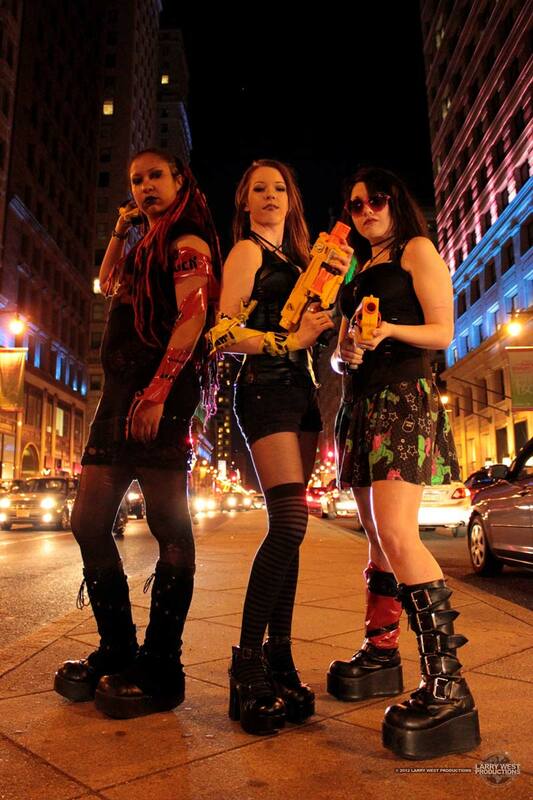 Over the course of two hours, these three wonderful models and myself went around Center City Philadelphia posing with Nerf Guns while wearing goth-punk inspired outfits.